Cybex Aton M is a very safe and super lightweight safety seat that can also be used as a carrier and a travel system on several buggies and strollers (e.g. Cybex, gb) with an adapter. This review represents the installation with safety belt. It can also be installed with Base M i-Size (Isofix) and this same isofix base can also be used with the Sirona M2 i-Size safety seat for bigger children. This is the fifth generation of the Aton seats, designed and engineered in Germany. Aton 5 can be used on airplanes, but always contact your airline before purchasing a ticket for details. 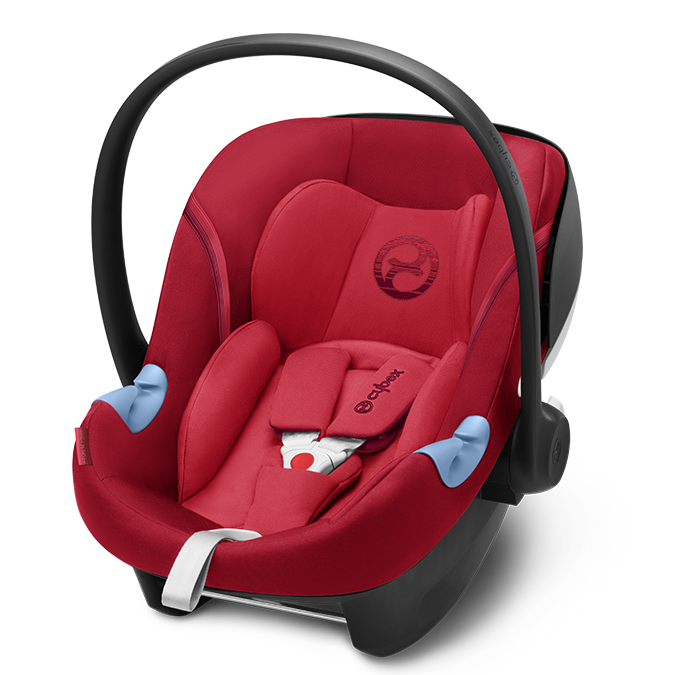 A central adjuster helps to adapt the size and height of the harness and headrest to the baby. 11 different height positions are available. Additionally, you can buy the Aton M i-Size base, for an older child the Sirona M2 i-Size seat that fits the same base, a footmuff, rain and summer cover, insect net and Isofix guides matching with the Aton M i-Size seat. Cybex Aton M i-Size is available in several colors. I hope you liked this review and if you have any question about the CYBEX Aton M i-Size seat or want to leave your own personal experience, leave a comment below.